After decimating the visiting side in the Tests, the Bangladeshi team clinched the ODI series too - by the margin of 2-1. Bangladesh were on the course from the onset as they easily won the first match of the series. In the first match, Mashrafe Mortaza and Mustafizur Rahman took 3 wickets each and restricted opponent to 195/9 in 50 overs. Mushfiqur Rahim led the chase and Bangladesh were past the target with 5 wickets remaining. In the second match, West Indies made a tremendous comeback and levelled the score 1-1. Shai Hope was the hero for the visitors whose unbeaten 146 ensured the victory for them. Shai Hope was, once again, brilliant in the third match but got very little support from the other end. His 108* helped West Indies put 198 on the board. The target of 199 was never meant to pose a threat to hosts and the Tamim-Sarkar 131-run partnership for the second wicket sealed the deal and ensured the momentum never went out of their grasp. In this way, Bangladesh registered another series victory at home. 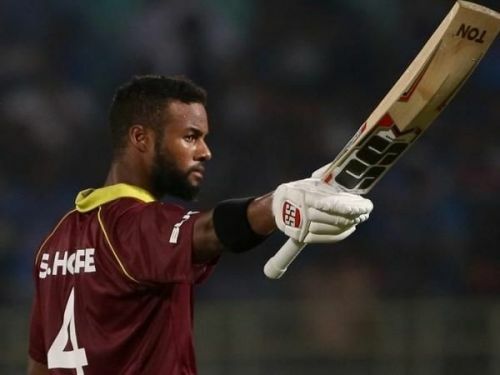 Shai Hope was Player of the Series for his two brilliant centuries. Here, in this article, we look at some interesting stats from the series. Shai Hope scored two centuries in the series, his hundred No. 3 and 4.